I wish you a fantastic “BILLBOARD HOT 100” Friday. 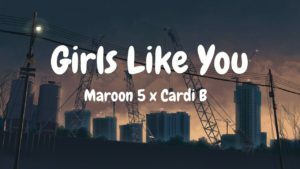 While Drake’s “In My Feeling” ranks the 6th week on place number 1, Maroon 5’s “Girls like you” keeps the position of last week #2. 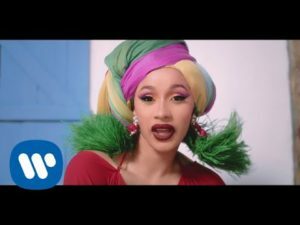 Here’s again the video “Girls Like You” ft. Cardi B which reached already incredible 673,857,172 views on YouTube. Also Cardi B, Bad Bunny & J Balvin’s “I Like It” keeps it’s position #3. Their video already reached fantastic 461,415,369 views on YouTube. 6ix9ine Featuring Nicki Minaj & Murda Beatz’s “FEFE” made a step ahead again from place 5 last week to place 4 this week. 198,249,779 views. 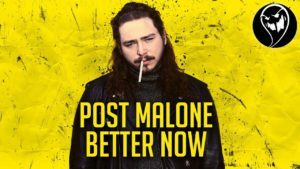 Post Malone’s “Better Now”, ranking last week on #6, reached #5 this week. 401,815 views on YouTube. The bonus track of today’s #18. 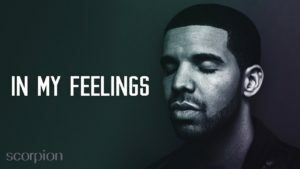 Nicki Minaj’s “Barbie Dreams”. HIGHEST RANKING DEBUT OF THIS WEEK. I wish you a happy Friday and come back soon with new stories about fashion & music.